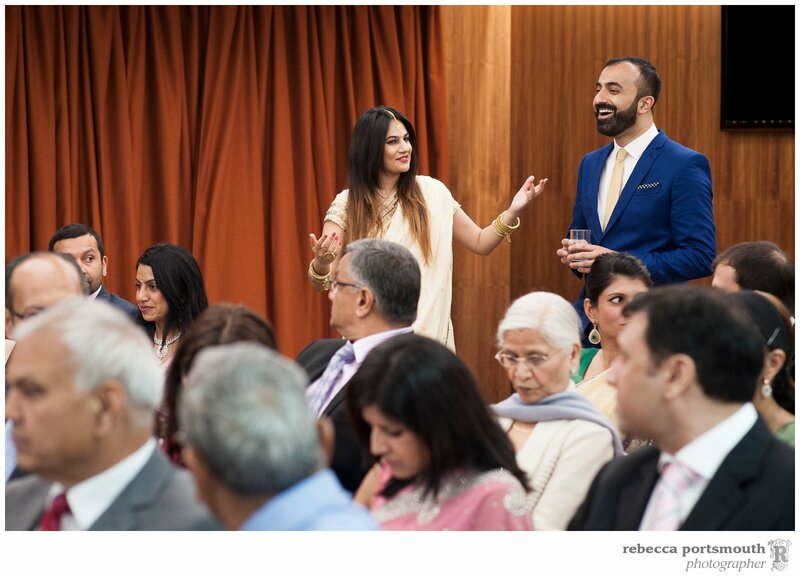 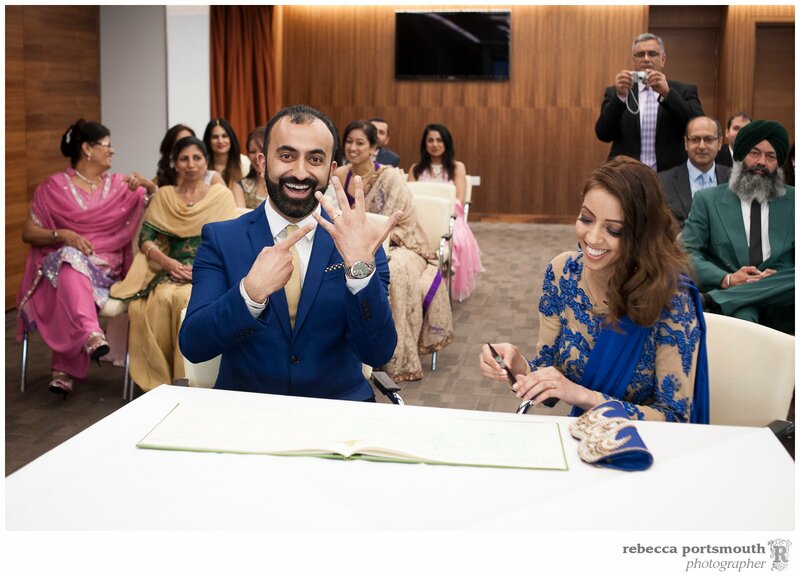 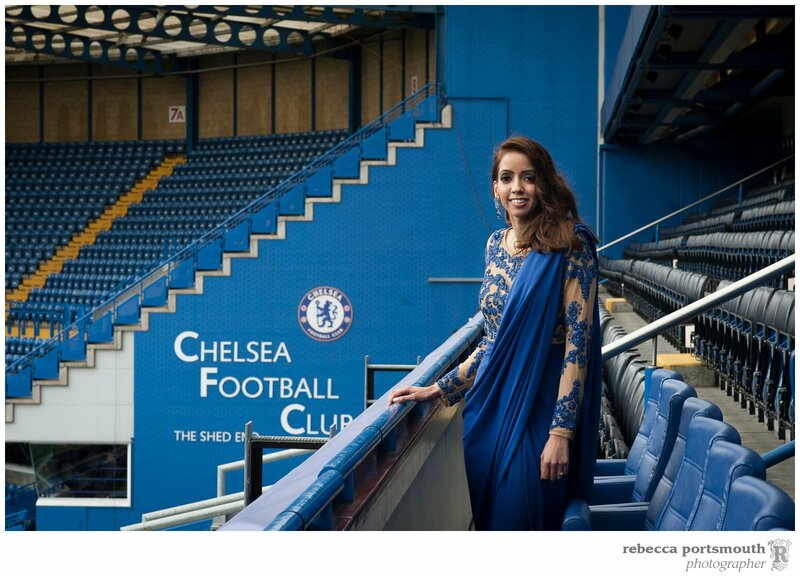 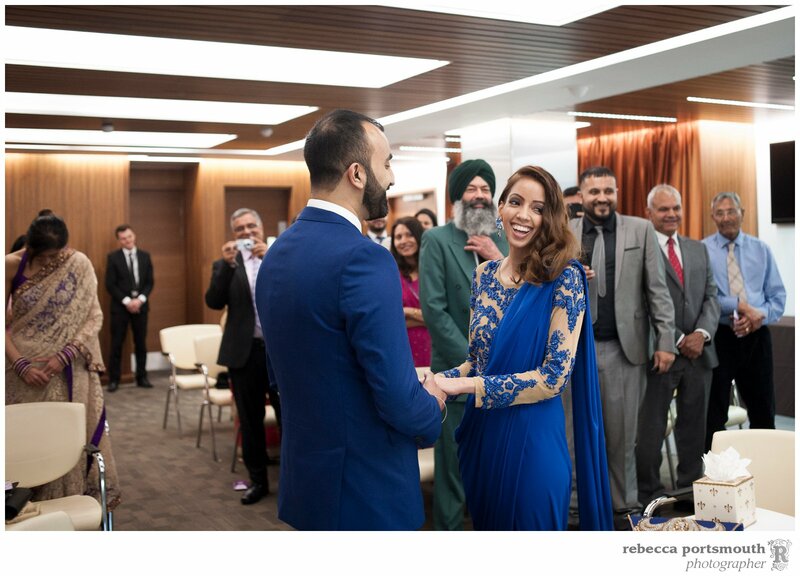 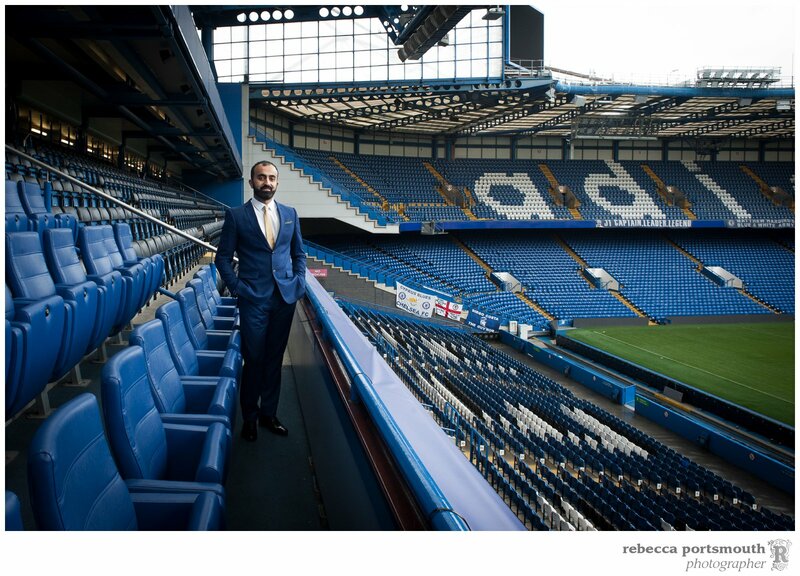 It’s not every bride who willingly allows football to dominate their wedding day, but for Chelsea Football Club fan Sharanjit and her groom Jatindar it was a necessity when they tied the knot in the club’s grounds. 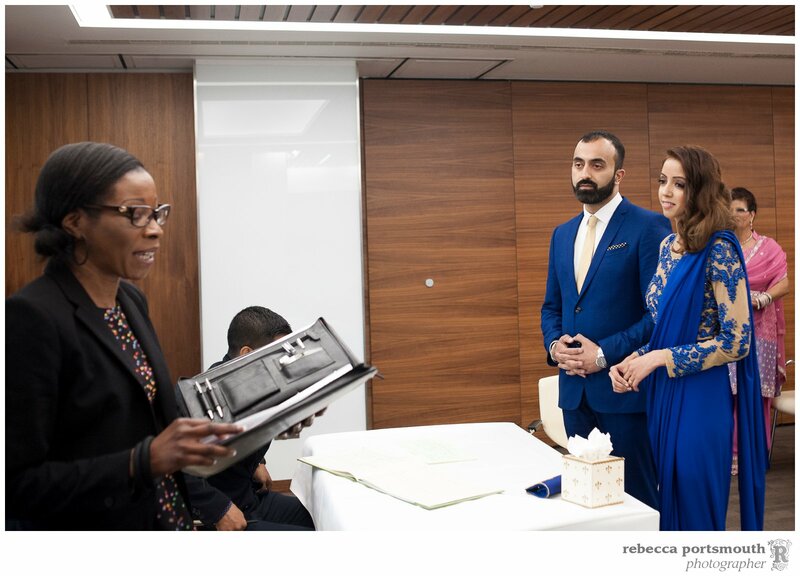 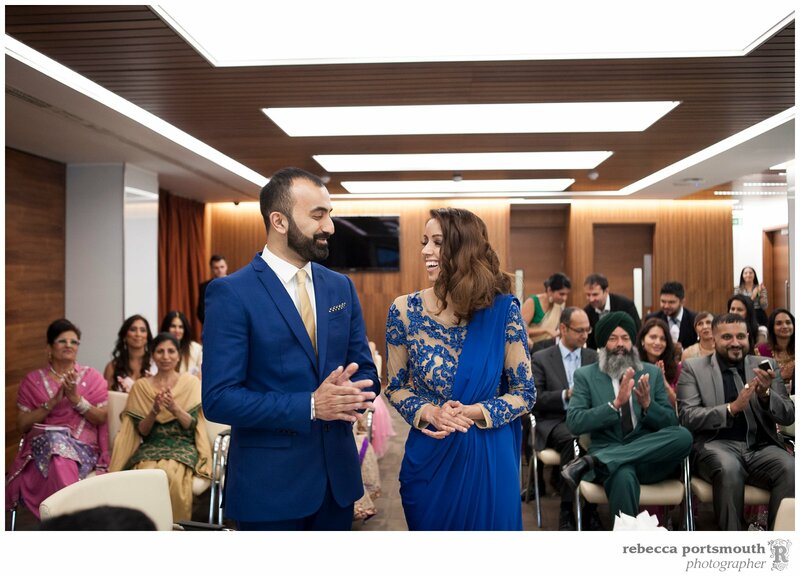 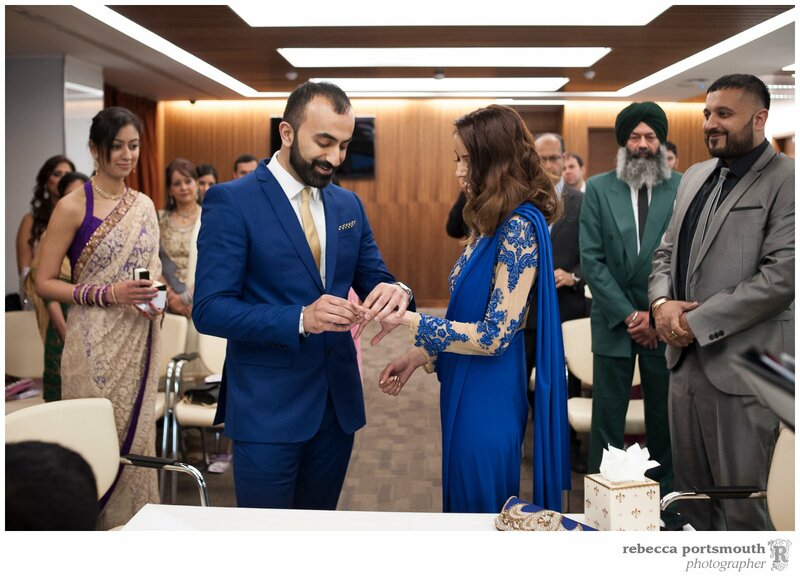 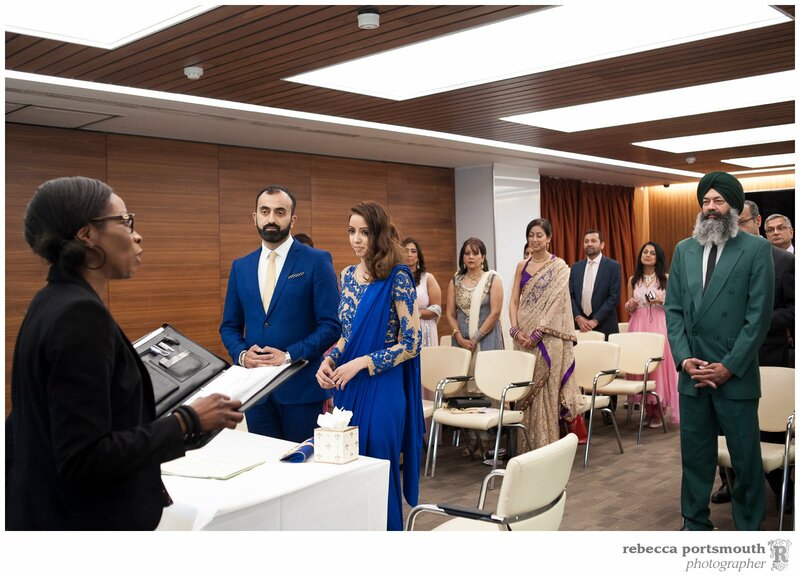 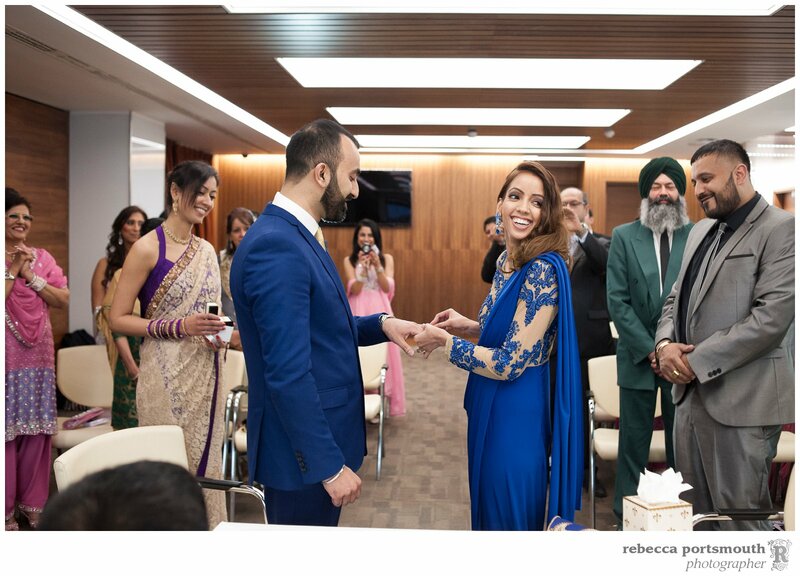 Sharanjit and Jatindar chose the Vialli Suite to exchange their wedding vows with Southwark Registrars. 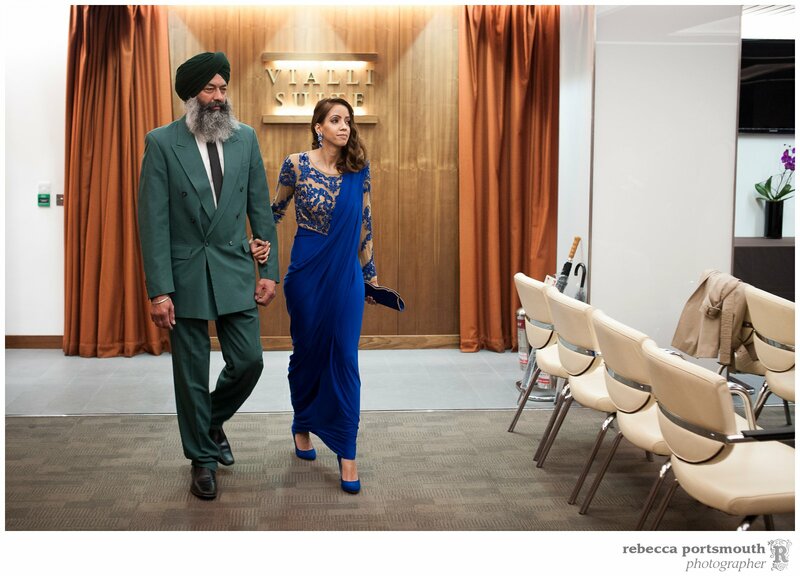 Sharanjit was a little late for her wedding, which left Jatindar quite a bit of time to get nervous. 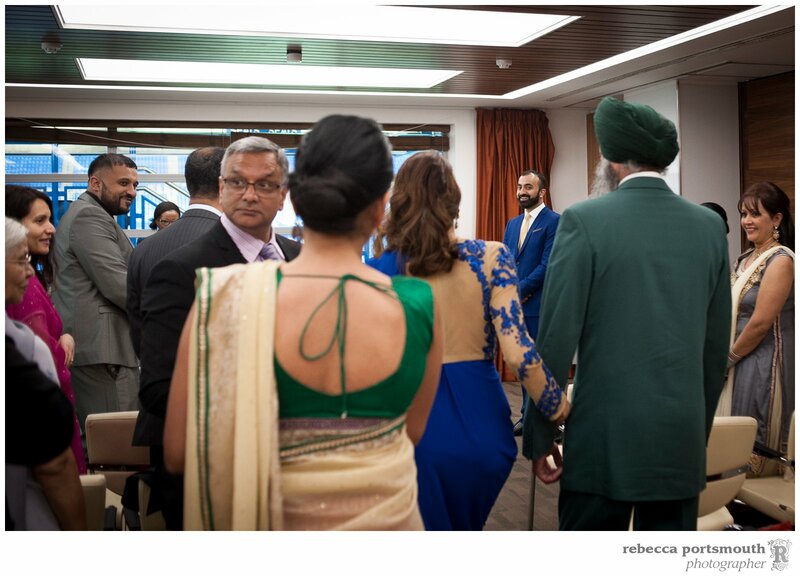 Isn’t the blue of Sharanjit’s gown gorgeous! 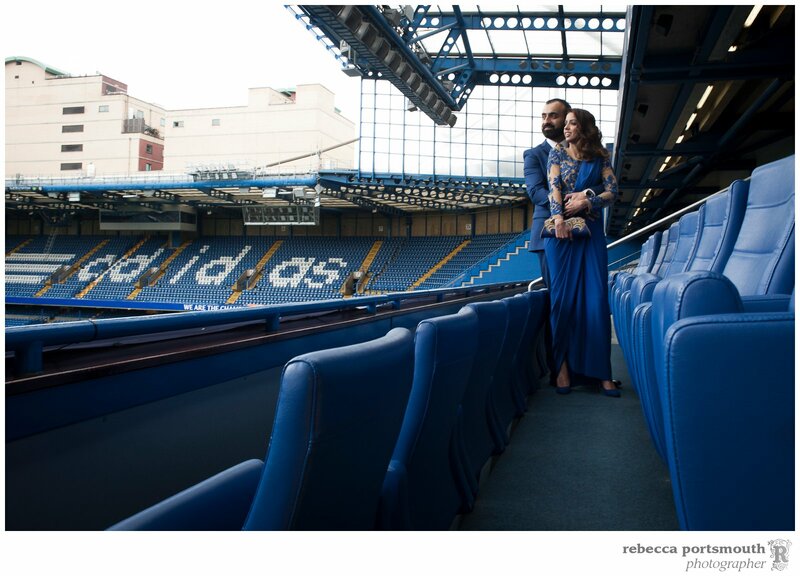 And entirely intended for a Chelsea Football Club wedding! 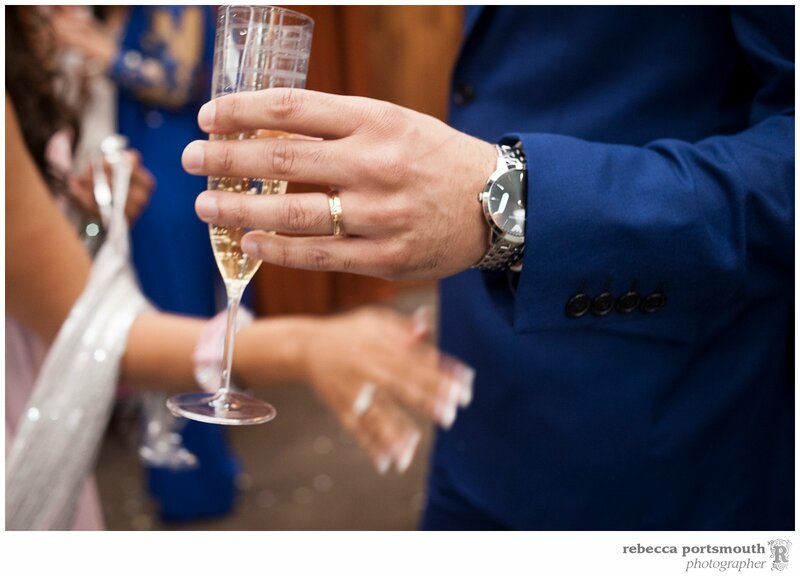 There’s often a moment when the groom wonders if the ring is going to go on the bride’s finger; this was one of those moments. 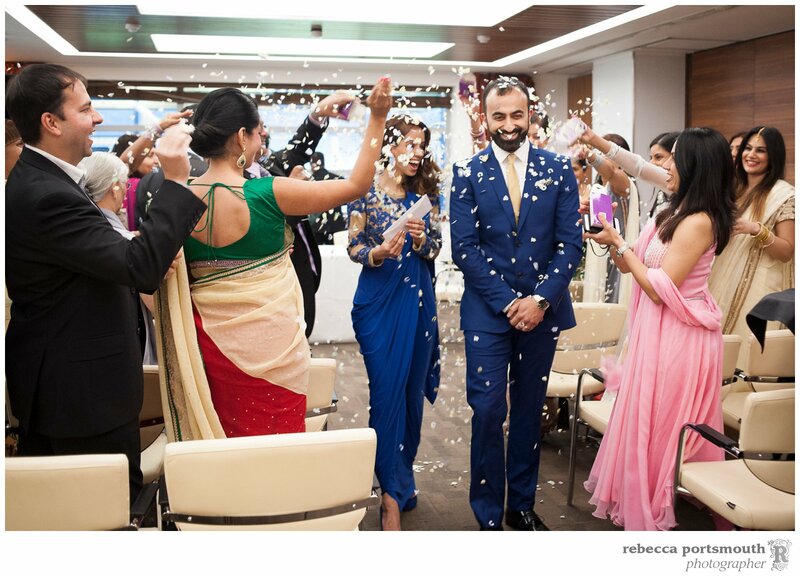 Guests celebrate by throwing confetti. 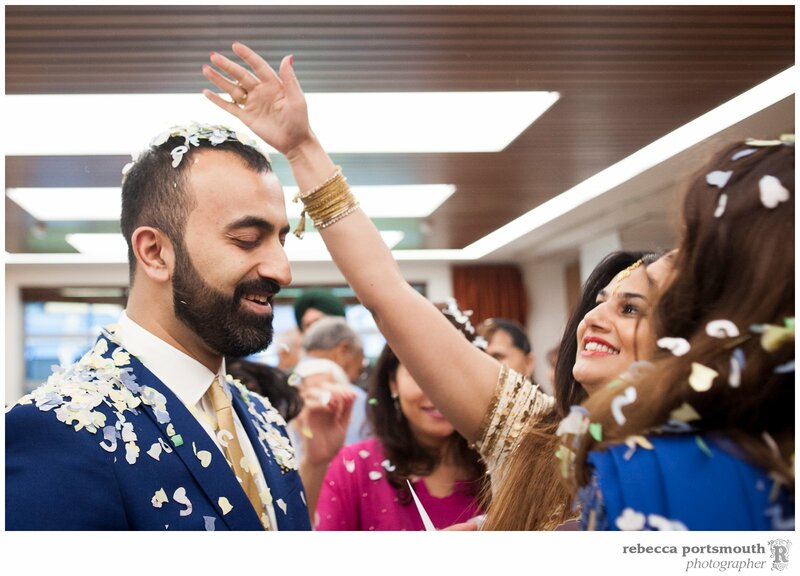 Lots of confetti. 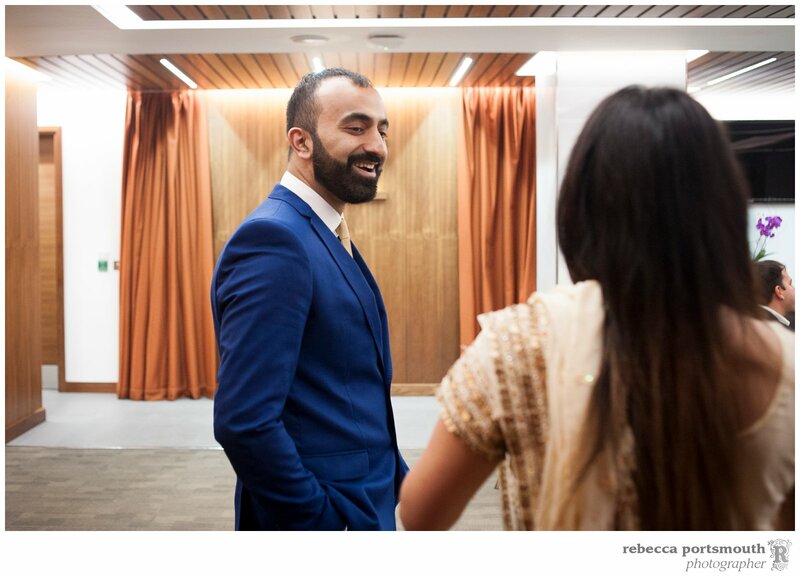 Sharanjit, Jatindar and I went into the stands for some portraits of the two of them – relatively quickly given the windy and cool day – which finished off their wedding photography booking.